Tonight, Fox made a glorious leap into the world of comic books with Gotham, a crime drama that takes place within the dark and gritty cesspool of Gotham City. A prequel project of sorts, the series is set during the pre-Batman days, when criminals only have to answer to the Gotham City Police Department, and costumed alter egos are a multicolored dot on the horizon. As it goes with most pilots, our first look at Gotham isn’t perfect, but it’s a startlingly effective and refreshing trip into a world that we’ve already experienced a million times before. (Read our review here.) Is it the best show on TV? Not yet, but here are five reasons why we might change our minds about that in the future. Few comic characters have a rogue’s gallery as instantly recognizable as Batman’s, and we'll get to watch many of them find their way down the path of lawlessness. The head honchos here are Carmine Falcone (John Doman), who has the big picture on the brain, and Fish Mooney (Jada Pinkett Smith), who is as violent and impulsive as her hair is non-frizzy. 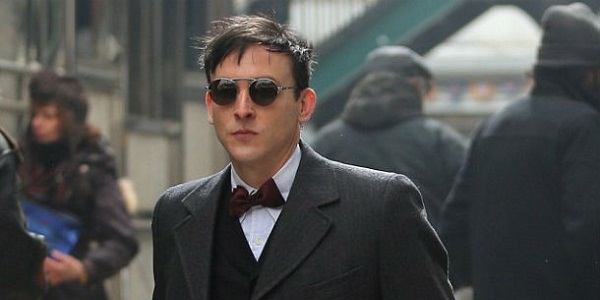 The pilot sees something of a character arc for Oswald Cobblepot, who goes from impish henchman (with the nickname Penguin) to a murderer in seemingly no time. The catlike skills of Selina Kyle (Camren Bicondova) are on display, and we get a new take on her history with Bruce. (She sees his parents getting shot.) We don’t spend much time with the riddle-tossing evidence guy Edward Nygma (Cory Michael Smith) or the half-orphaned Ivy Pepper (Clare Foley), but their day in the sun is coming. Though it will probably be less sun and more moonlight and rain. Gotham City has been depicted on film by four different filmmakers, and show creator Bruno Heller and pilot director Danny Cannon (Judge Dredd) have created an ideal amalgam of everything we’ve seen before. Heller has some history with creating memorable settings, as he did for HBO’s Rome, and this is no less spectacular. Because we’re dealing with the city’s down and dirty elements, the skyscrapers are almost always in the background, stacked against the endless rain clouds, while we’re focused on dark streets and alleyways. Every corner is capable of hiding a crime, as is the smoke constantly rising from manhole covers and sewer gratings. We’re not in Christopher Nolan’s Chicago-tham or Joel Schumacher’s Technicolor dream-Gotham. This is Gotham City, through and through. 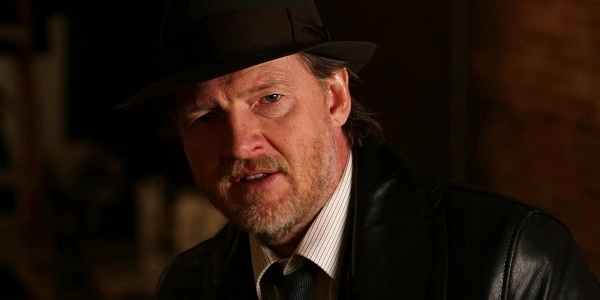 As the gruff-and-tumble Harvey Bullock, Logue is just as awesome as he was in every single movie and series he’s ever starred in. Bullock is the kind of guy who wants everything going his way, and is willing to do almost anything to make that happen, be it cozy up to Fish Mooney or put a bullet in a presumed murderer without any evidence backing it up. While McKenzie is good as Gordon and Victoria Cartagena and Andrew Stewart Jones are serviceable as Renee Montoya and Crispus Allen respectively, Logue could already be the center of his own spinoff. (Somebody get that ball rolling.) We may never get Terriers back on the air, but having Logue as the conduit between Gotham’s cops and robbers is about as good of an alternative as I can conceive. 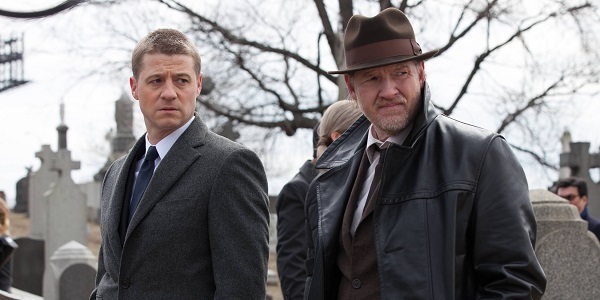 Bruno Heller’s goal with Gotham, besides creating a suspenseful and genre-crossing drama, is to eventually bring in the entirety of the Gotham City we all know and love, with the final episode of the series finding Bruce Wayne finally donning the cape and cowl. Now, it’s Fox, so there’s absolutely no way of knowing whether that big expected reveal would come after ten seasons or only two. 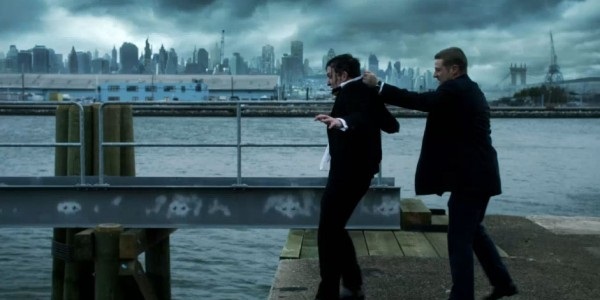 (Please, in the name of all that is dark and brooding, let Gotham last at least two seasons.) 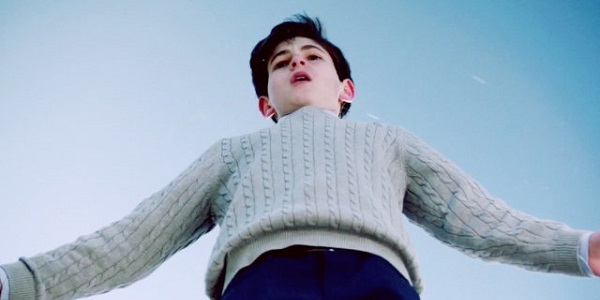 Regardless of when it happens, part of Gotham’s hook is that we know we’re leading up to Batman, and so we’re going to see some plotlines that are just fucked up enough to inspire a millionaire orphan to put on a costume and kick everyone’s asses. It’s the pre-credits scene that we need, as well as the one we deserve.